A record of thankfulness, thoughts & creating joy. "Well the baby's got a special way of getting out. Hey! Would you like some chocolate?" Which is kind of funny, seeing as she specialises in getting the babies out. But I guess she doesn't specialise in telling small people all about it. Although I dodged a bullet there (that answer worked by the way), I figured that wasn't a long term solution. The questions started coming from the Dude too I guess, and it seemed like a good opportunity to satisfy their natural curiosity. I am absolutely no kind of expert in this area*. but I love picture books, and I've spent a fair bit of time teaching children*** so I figured I should find some resources. * trying to give a good answer to any question while keeping it age appropriate - I don't want my kids to feel like there is any shame in their curiosity and questions; but I also didn't want to freak them out. We have also been privileged to attend a seminar at my kids' school called "Amazing Me" - Princess is in Year 3, and to be honest, I wasn't quite ready for her to hear 'the talk' yet. The educator was awesome. She delivered her stuff informatively, with humour, and with sensitivity. I learned a lot about how to talk to my kids from her approach. My impression of the evening was that all us parents wanted to crawl under the seats with our awkwardness about the topic, I suspect most of us were a bit red in the face. Luckily no-one was game to look around. But the kids? They just absorbed it all as fascinating information. They were desperate to answer the questions they knew, no embarrassment there! Which was great. I've also noticed that when I talk to the Dude about his questions, he's just fascinated by it as interesting information. There's no concept (yet) of just how *embarrassing* this could be... So I'm glad he's asking the questions now, and we can talk about them, because I think he's at a great age just to take it all in as fascinating facts. And that's got to be powerful - he'll know how things work, and take it all for granted, before he gets to an age where it is embarrassing or shocking to discover. Anyway, back to the point. I have absolutely no idea what I originally googled when I went searching for resources for kids on this topic. I'm sure it was embarrassing. I do recall checking out the A Mighty Girl website, which is a treasure trove of fabulous resources, particularly aimed at empowering girls. One of my favourite parts of the site is the book list - there are awesome resources on all sorts of topics. It's well worth checking out. The topics range across all sorts of topics from History to Social Issues to Fiction to Understanding Yourself (including understanding issues like Aspergers) to Nature. I looked at several of the books they suggested, and then took some time to read through the reviews on Amazon. (as an aside, I always use the Amazon.com site, not the Australian one, because it has more on it). People take the time to write such detailed and informative reviews, and I really appreciated it on this occasion, because it allowed me to eliminate some books that are probably great, but weren't what I wanted. I chose a few books. Some suited to younger children, or as a reference for either child, that I'm happy to leave on the bookshelf for them to look at whenever they want. One of the books is definitely one that I have put aside, and will pull out at times to look at specific pages. 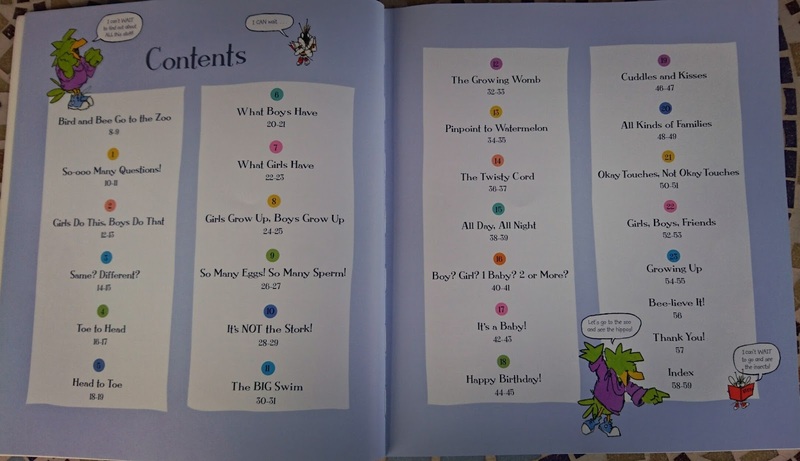 It's for older children, and is more detailed. Some of the concepts in it are better for us to read and discuss together. 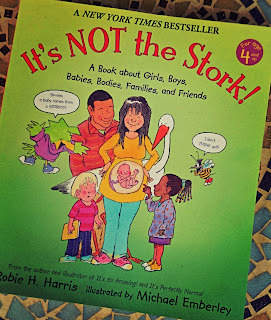 It's still an awesome book, but I do think it's important to decide for your own family what you are comfortable with and what feels appropriate. 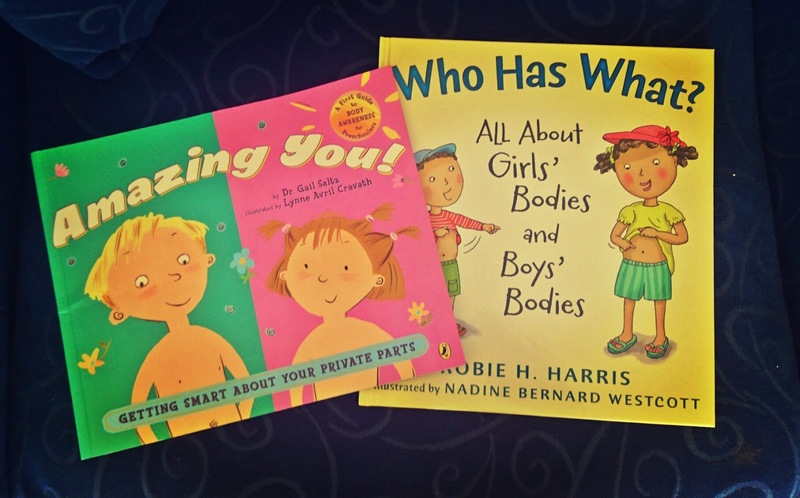 All of the books communicate the value of our bodies, how amazing they are, and reinforce a value of our right to ownership of our bodies (even if it's not explicit). I've really tried to capitalise on the opportunity with my kids to let this reflect on our amazing Creator! This is such a great book. It is positive and simple, and suitable for young children - from around Preschool age, but could be used with slightly older children too. The explanations of bodies and where babies come from is appropriate for younger children. 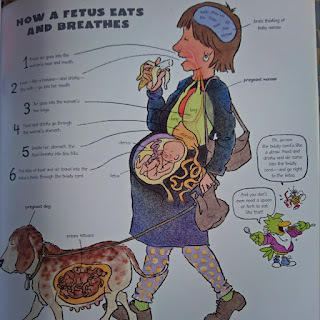 The way the illustrations work, also would allow you to expand upon caesarean and 'normal' deliveries if it's something you want to discuss with your kids. This is one of the books that lives on our bookshelf, and which gets pulled out by the kids. I did read this with the children a few times first before the book appeared on the bookshelf. This is for slightly older children. It's a little longer and more involved. It relates differences between girls' and boys' bodies to familiar animals such as pets so children can draw a link between things they have seen in their environment. I think younger kids might not understand the links quite so clearly, but it's a great approach. It is less about how babies are made, and more about our bodies are awesome, and their similarities and differences. It's another book I'm happy to have out for my kids (again after reading it with them), but I think younger children would benefit more from having an adult read it with them. Another book by the same author as "Who Has What". This is definitely for older children (but still suitable for primary age). It's got lots of fantastic information, and answers more specific and common questions about exactly what goes on, including questions kids ask, like where the baby is, and how it eats! Having said that, it is also a book that I keep away, and will bring out to respond to specific questions, or explain concepts. It uses the construct of some extra characters: a bee, and a bird (Yes! How appropriate!) to provide other voices which can be curious, or grossed out. It's a clever construct and fills an important role. However, I think they make it more complex to follow the main ideas of the text. I've found this in experiences with other factual texts for children, It's another feature that makes me think this book is better for slightly older children. Importantly, it also includes a section on child protection: safe touch and unsafe touch, which is excellent. This is a page, however, that contains some information that some families might be a little uncomfortable with. 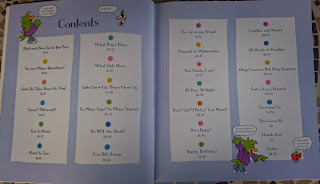 Here's a photo of the contents so you can see the topics that are covered. 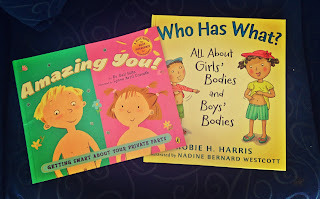 There are several other books written on these topics by Robie H. Harris - I think they were for older children. If you are keen to keep researching, I recommend the Amazon reviews as a handy place to find reflections on great books on the topic. I'm also intrigued by "My Underpants Rule " which I've noticed being advertised online. I haven't done any research into it, but a quick look at the site makes me think it looks like an excellent approach for helping protect children, and helping them learn to protect themselves. I'd love to hear if anyone else has looked into it, and what you think! Please excuse me while I go purchase another book! In fact, if you have any wisdom or advice on this area, we'd all love to hear it! Please let us know in the comments or on facebook. *** I'm not going to tell you how many years, because then you might figure out how old I am. And we can't have that. Thnaks J. This will be very handy! Hi! I'm Justine, Mama to two gorgeous kidlets, the Princess & the Dude. 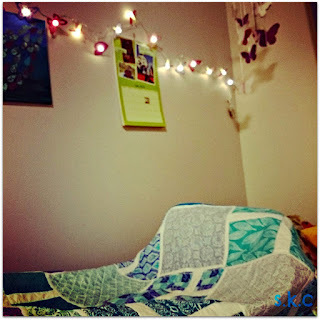 Blogging to share my journey of thoughts and thankfulness, along with some sewing, knitting, and other assorted crap. I hope you enjoy. sewknitcrap.blogspot.com is a participant in the Amazon Services LLC Associates Program, an affiliate advertising program designed to provide a means for sites to earn advertising fees by advertising and linking to amazon.com.